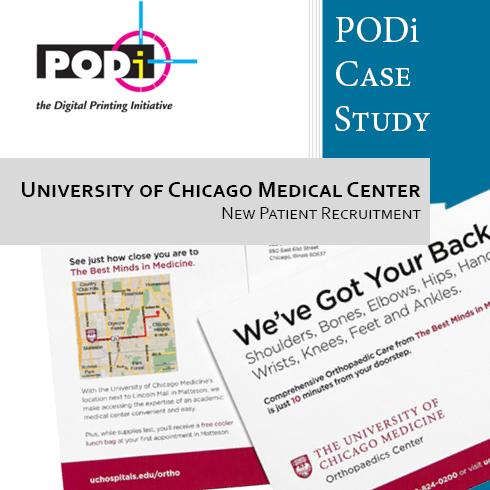 The Orthopaedics Center at the University of Chicago Medicine wanted to increase visibility and new patient visits for the orthopaedics practice in its Matteson, Illinois location. The message: You don’t have to drive to Chicago for adult or children’s orthopaedics – world class care is right here, close by. locr NAVImaps were used as part of the campaign creative. Marketing Manager, Crystal Senesac, remarked that they saw a 43% jump in new patient visits which they can attribute directly to the mailer which included the locr personalized maps.